What do we mean when we use the word “glory”? How is glory essential to the Gospel of Jesus Christ? Rev. 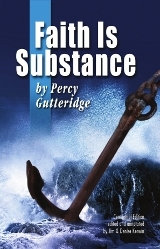 Percy Gutteridge opens up what the Scriptures reveal in his Bible Teaching message The Gospel of the Glory.